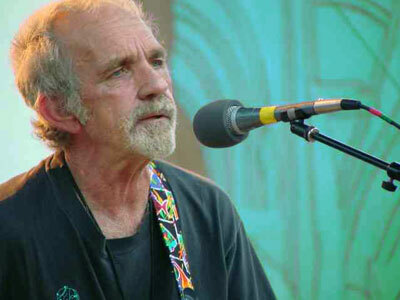 J.J. Cale Biography, Discography, Music News on 100 XR - The Net's #1 Rock Station!!! Singer + guitarist & songwriter J.J. Cale is an enigmatic character, a performer whose life-style, interests and music seem to be born out of another time. He has constantly shunned publicity, grants few interviews and any time devoted to talking about himself is short-lived. Born in Oklahoma City, Oklahoma USA, on December 5, 1938, he was raised and went to school in Tulsa, others floating around the local Rock & Roll scene at that time included Russell Bridges, who reinvented himself as Leon Russell, Carl Radle and Jimmy Karstein, who later joined Cale's band. Everyone ended up in Los Angeles. The rootsy rocker spent some mid-'60s time in the Sunset Blvd. clubs with Tulsa buddies; for J.J. Cale, L. A. meant some solid studio experience and during this time he wrote and recorded "After Midnight" around 1965; some five years later Eric Clapton turned the trick with it, in fact this was the first Rock & Roll Hall of Famer/Grammy-winner's U.S. top 20 hit. In 1967 Cale came to Nashville to work with Audie Ashworth. Once settled into a comfortable situation, he began rerecording with some of his Oklahoma friends and some fine Tennessee musicians. In December of 1971 J.J. Cale released his debut solo album, "Naturally" on Hollywood-headquartered Shelter Records; the record included "Call Me The Breeze" which Lynyrd Skynyrd later covered, a new version of "After Midnight", which reached #42 on the U.S. Pop Singles chart and "Crazy Mama"; the latter tune became his first Top 40 entry at #22 sending the album into the U.S. Pop chart at #51. His second album, released in 1972, was "Really", it reached #92 on the Pop chart and featured the single "Lies" which nearly cracked the Top 40. "Okie" followed in May 1974, this album offers further insight into the temperament, style and methods of J.J. Cale; it was recorded under the casual conditions that Cale obviously finds the most desirable for his type of music; however, it failed to break into the U.S. Top 100 oddly. After Cale moved to Nashville in 1975, he and Ashworth set up their own studio, Crazy Mama's, in Ashworth's house. His fourth album, "Troubadour", appeared September 1976, reaching the #84 position on the U.S. Official chart, the record was Cale's most energetic effort to date and present among the 12 tracks were some Caribbean rhythm influences, most notable was "Hey Baby" which scraped the lower reaches of the Pop Hot 100 Singles chart; this LP also contained "Cocaine" which Eric Clapton covered on his "Slowhand" album a year later. The next album, "5", didn't appear until August 1979, it only reached #136 on the Pop chart and failed to generate a hit single; radio ignored Cale's version of "Sensitive Kind" but Santana covered it and took it half-way up the Hot 100. J.J. Cale finally left Nashville and moved back to California in 1980; the final Shelter album, "Shades", was issued one year later, it made a mid-chart appearance peaking at #110 on the U.S. Top 200 LPs & Tapes list. Not long thereafter Denny Cordell wound up Shelter Records; Cale's new label Phonogram International subsequently acquired his 6 Shelter albums from Cordell. In 1982, the first album on Phonogram's Mercury label, "Grasshopper", was released, it was a fine, varied album, which did very well in Europe, especially with the single "City Girls", though not as well in the U.S. where it failed to make it past #149 on The Billboard Top 200. Its successor, "#8", released in 1983, sold modestly and if nothing else, was remarkable for the fact that Cale had finally allowed a photograph of himself to go on the front of the album. 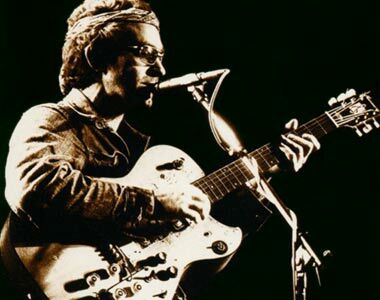 It wasn't until 1989 that J.J. Cale signed a new deal with Silvertone Records in England. Silvertone's first album with Cale was "Travel-Log"; he toured to support the album which got entered #131 on the American Billboard Top 200 chart. In November 1992 Cale issued his tenth album, titled with impeccable logic "Number 10". Two years later he signed with Virgin Records who released "Closer To You"; one more album on Virgin, "Guitar Man", appeared in the summer of 1996. In 2002 he returned to the road after a long lay-off and in June 2004 Sanctuary Records issued his thirteenth studio record, "To Tulsa And Back". After years of admiring each other's musical masterworks, J.J. Cale and Eric Clapton teamed up to create an original album together called "The Road To Escondido" which also earned him his first Grammy Award; the CD, which featured 14 songs including the heritage-Rock radio hit "Ride The River", debuted at #23 on The Billboard 200 chart upon its November 2006 release. "Roll On", J.J. Cale's first batch of new solo material since 2004's "To Tulsa And Back", arrived February in 2009; the disc, which incledes the previously unreleased title-track recorded with Eric Clapton, made a mid-chart appearance in U.S. peaking at #113.